I must say, I'm impressed! I'm one of those weird people that loves trying high end waxes and seeing how much depth and shine I can get out of my cars paint. Well, these days time is money to me, so I have less time to detail the car. As a result of this I started looking at more long term protection options. 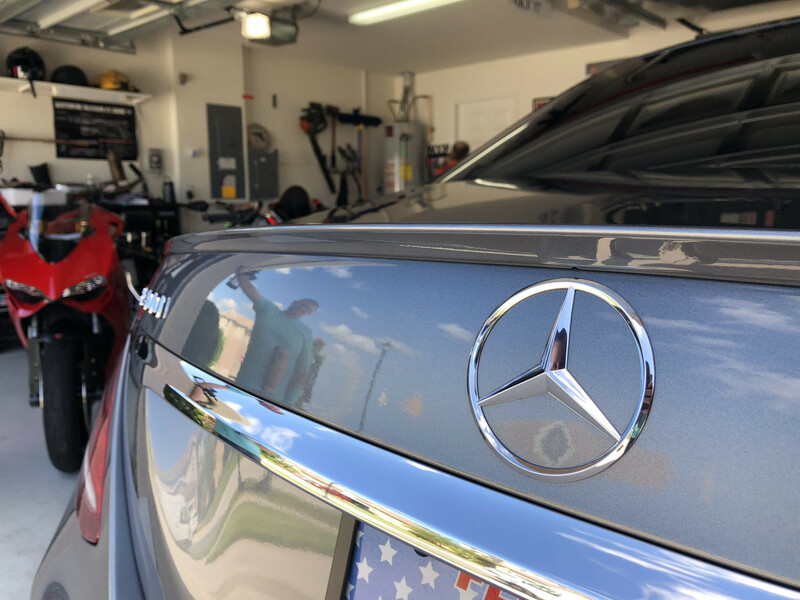 I reached out to a local detailer that was known for high end work on exotic cars. I had him do a normal full detail on my truck so I could verify his work and work ethic. The truck came out great and I hired him for a full ceramic pro 9H install. 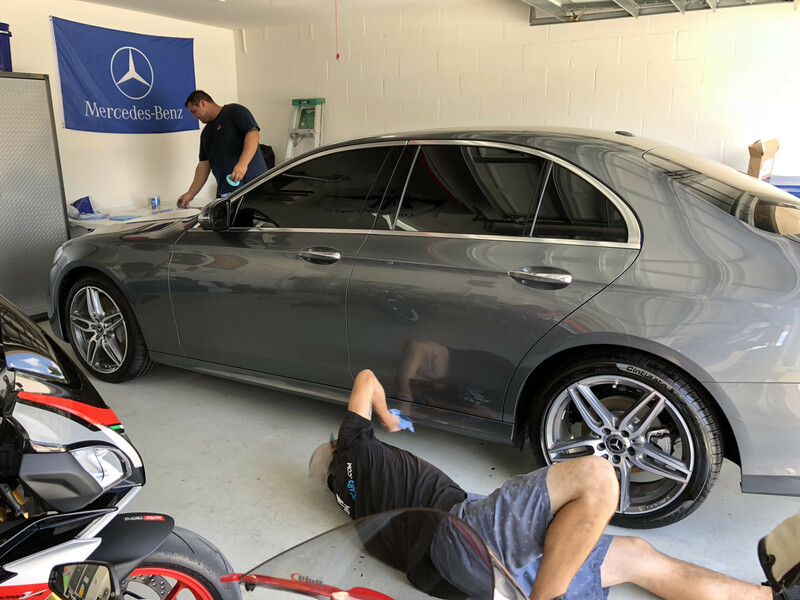 To apply it you must give the car a paint correction as once the 9H is applied it will seal in those light clear coat scratches, and you won't be able to buff them out without removing all the ceramic from that panel. You would have high and low spots if you tried to spot correct. So the paint prep must be done correctly. They started with a deep wash and degrease and then did a high speed two step paint correction. My car was in great shape as I use a foam cannon and 3 different buckets with grit guards to wash it. 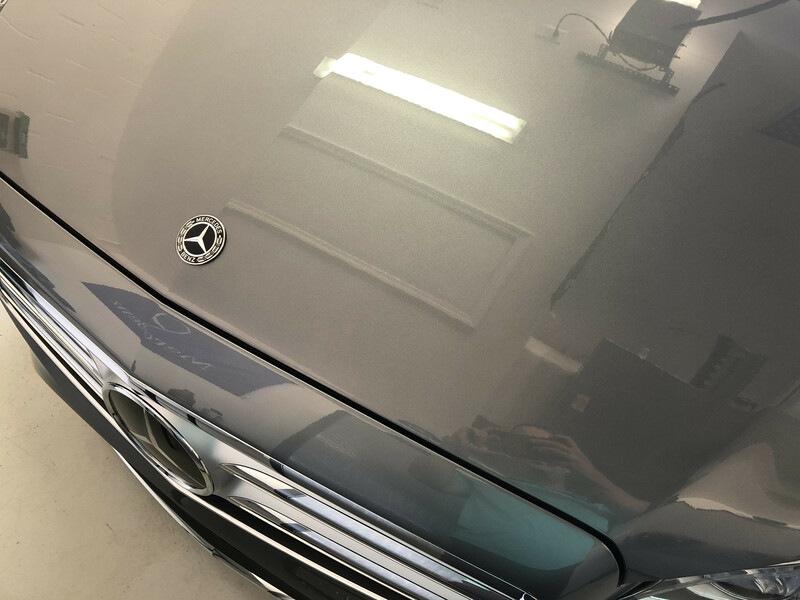 So it didn't have any real damage after 6 months, other than the light scratches from the idiot "detailers" at the dealership that dried the trunk lid with a terry cloth towel. This is why I tell my wife to turn down the free car wash at the dealer! Thanks but no thanks! After they corrected the paint they wiped it down with alcohol and started to apply the 9H. The 9H has to be applied evenly or you will get high/low spots of build up. They did a two man team of application, knock down with wet pad, then buff out. This ensured an even application per panel. They did 5 rounds/coats of this on every panel of the car. They also included the face of the wheels, glass and all the PPF. Then they UV cure the panels one at a time and then do a top coat of "light" to add even more depth to the paint. They started at 9am and were done right at 5pm. They only took a 15min break to eat a sandwich. These guys were hard workers! The end result is nothing short of spectacular. I was speechless. The paint will keep this deep, beautiful, wet and protected shine for 10+ years. Every time I wash the car, it will look freshly waxed. If you are on the fence about getting this done, do it! 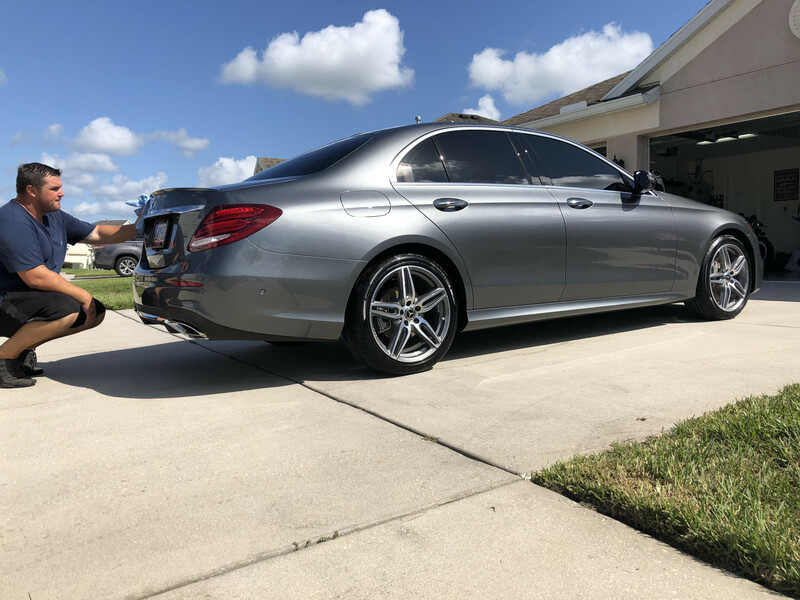 And if you're in the Tampa Bay Area, make sure to give Dan Kashtan, owner of Automotive Impressions a call! Photos taken with iPhone X. No filters or effects. Is that a mirror or paint?!? Plate was just put back on. It was removed so every inch could be protected. 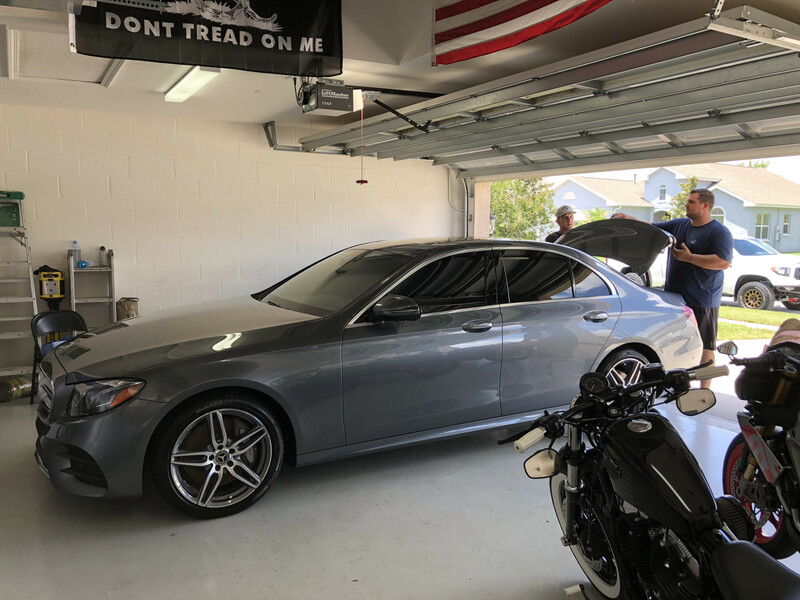 The Paint Protection Film (suntek) was protected as well. 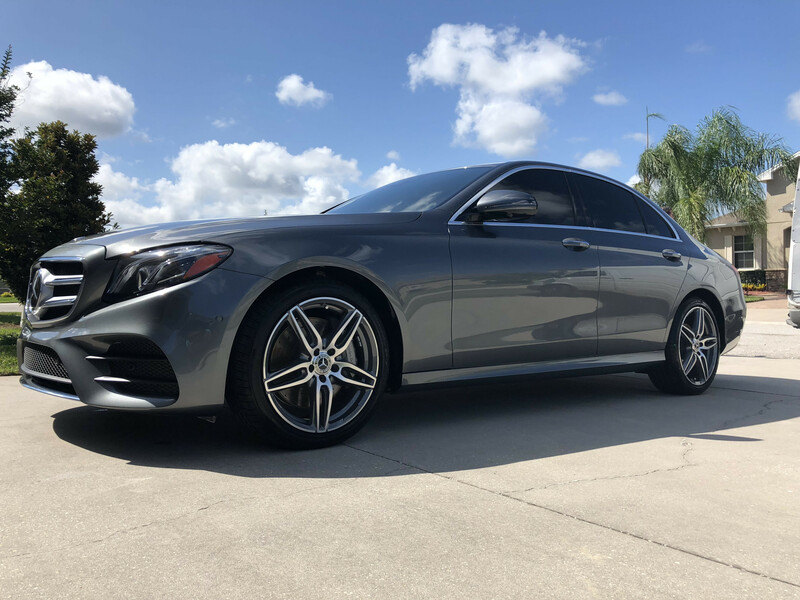 It covers the 1/4 hood, bumper, fenders, grille, headlights, roof in front of sunroof, A pillars, fingernail guards behind the door handles, and luggage area on rear bumper. Last edited by NFAREVIEW; 06-04-2018 at 10:52 AM. Looks great, did it cost you 1k plus for this? Im in Ohio and asking around for pricing, it's in 700-1k range, but last for 4 years only. Looks great. 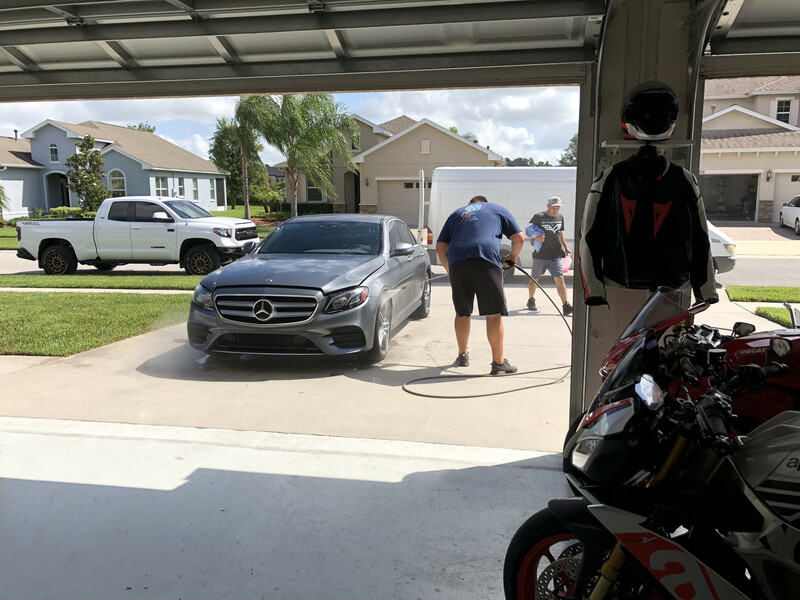 Are they a mobile detailer? That would be so much more convenient. Yup, they arrived at my house at 9am sharp and worked until 5pm. Give him a call to see if he serves your area. Dan Kashtan (Owner of Automotive Impressions) 727-455-4228 and tell him NFA Review sent ya. Edit to add: He just did a bunch of exotic cars owned by some Tampa Bay Lightening players. He's good to go. 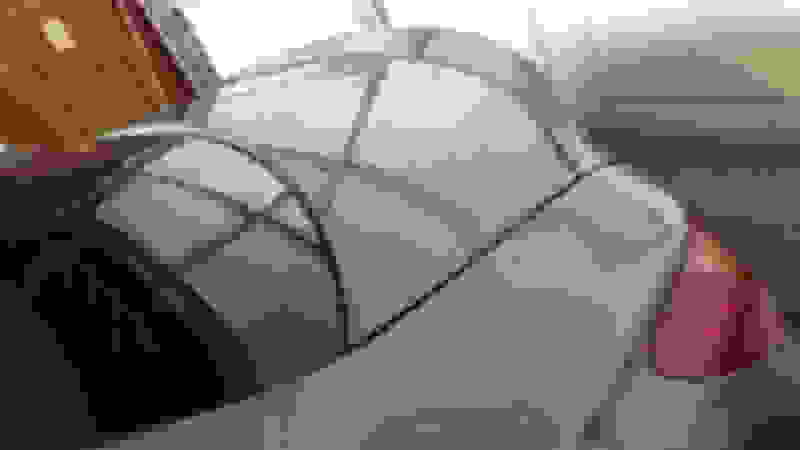 Last edited by NFAREVIEW; 06-04-2018 at 04:34 PM. Car looks incredible!! Yeah I’m seriously considering this! Really think it will last 10 years? Any proof? Looks great. 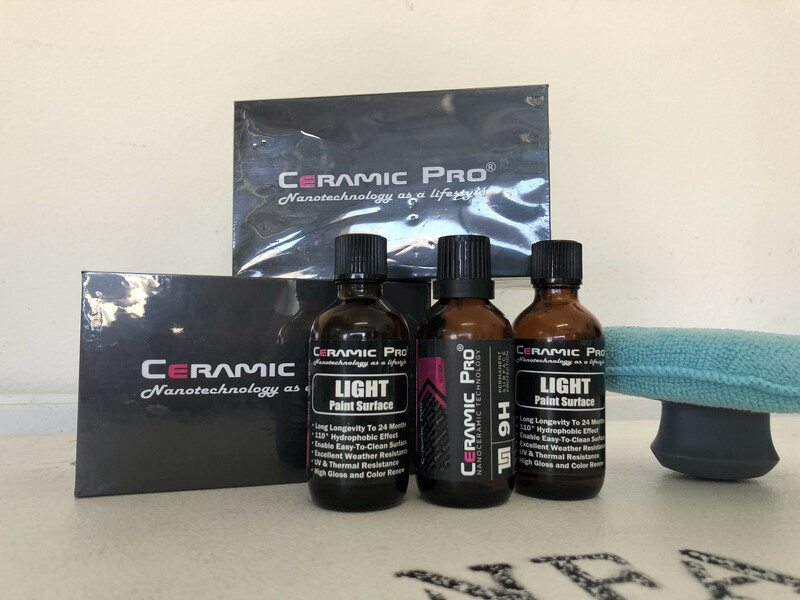 The ceramic permanently bonds to the clear-coat and overlays on top providing a protective layer of harder material. 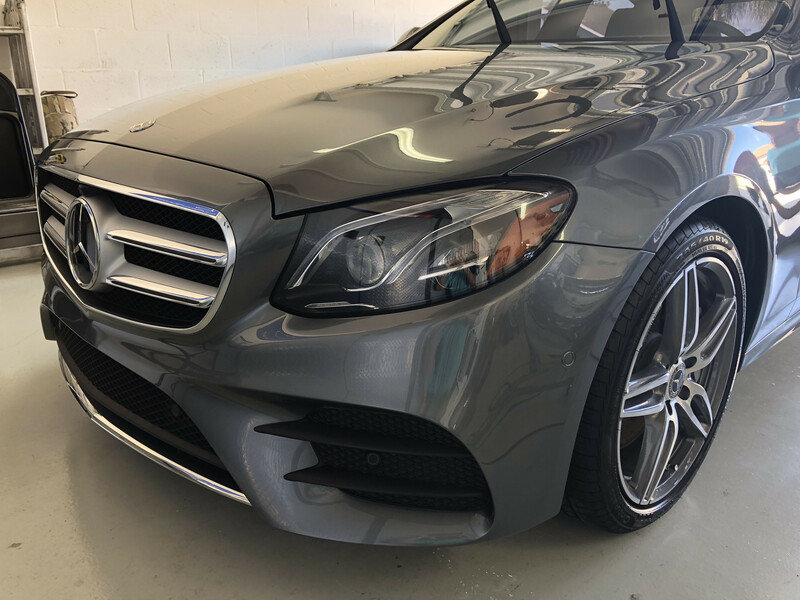 The glossy look is a top coat that per my detailer has to be re applied every 24 months depending on care and conditions the car has been through. The price would reflect a normal detail in the sub $200 range. It's worth every penny IMHO. We just drove the car after waiting 3 days for it to cure and the dust that settled in the garage just flew off in the wind. Nothing sticks to it. 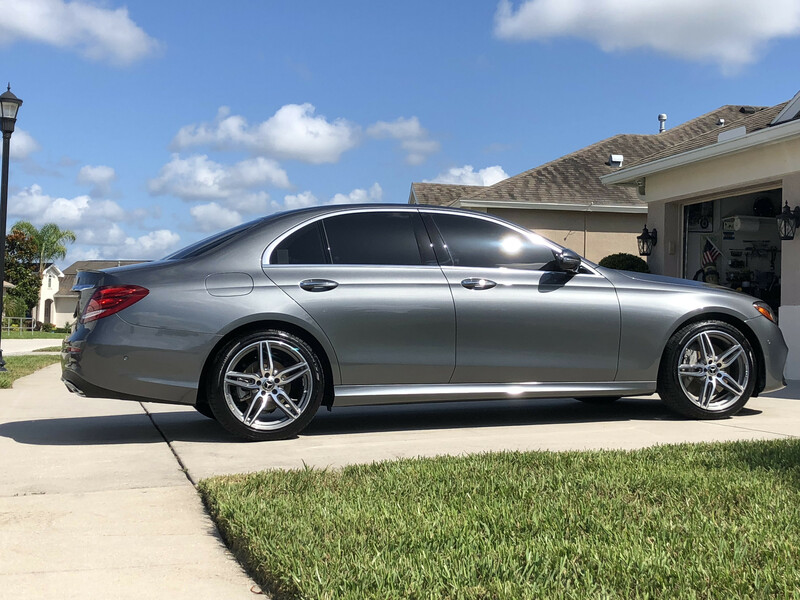 The shine is absolutely incredible in the FL sun. Ridiculous prices for the gullible only. 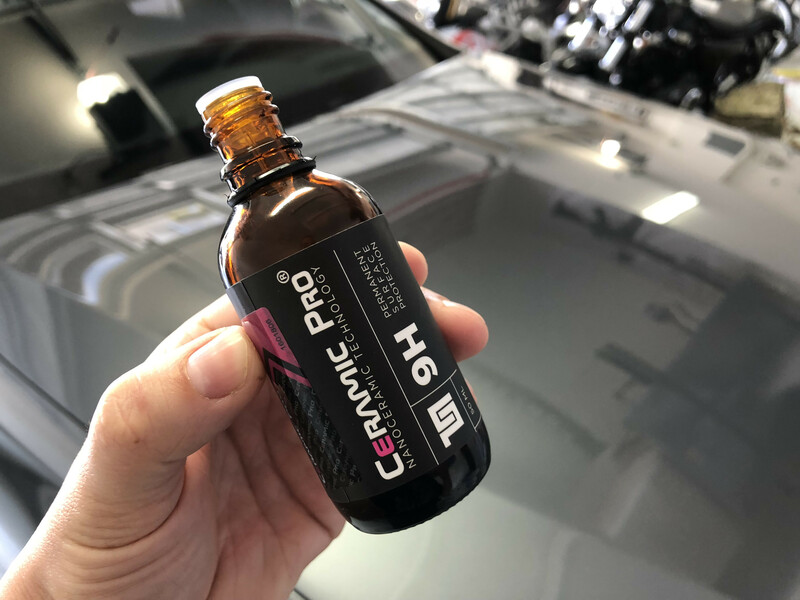 Designo paint which is a microceramic product costs as much and "lasts" for 25 plus years....... Much simpler; wash, then clay your car and use Meguiars ultimate spray finish. It takes ten minutes to apply and "lasts" one year. Total cost: about 10 bucks! Meguires spray wax...lol, yeah you and I have different expectations in a cars finish. I'm sure your car is covered in micro scratches in the clear coat. Mine is flawless, not a single imperfection in the clear and the ceramic will keep it that way. It's clear (see what I did there) you don't understand nano ceramic coatings. 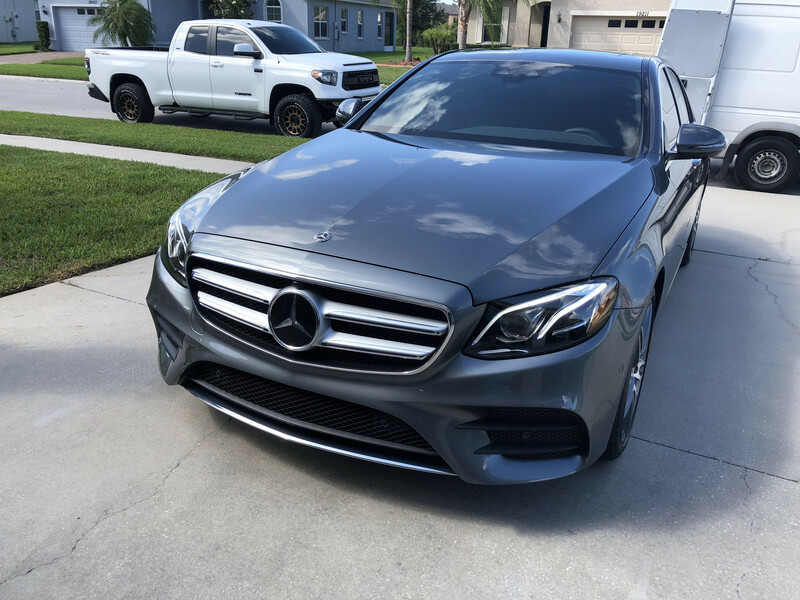 First I have no clear coat since I have designo matte paint, a true microceramic paint. It is truly tough as advertised since its a paint!!! So called ceramic finishes are are hydrophibic polymers that have a very strong affinity for paint. 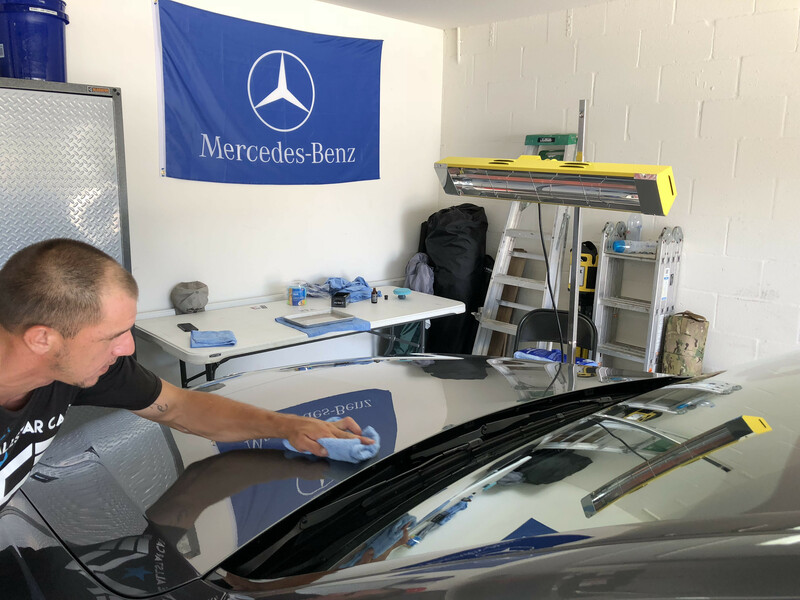 They are however infinitesimally thin thus offering essentially zero scratch protection they simply repel water as long as they stick to the paint (unlike regular wax which just sits on top of the paint without bonding). You can laugh, but the fact is that the Meguiar product is the same chemical as the snake oil that others sell for 100s of dollars. BTW Meguiars even includes the "premium" microfiber towel with the product! All for 10 bucks! Spray it on the towel, wipe and done! Saw yours did my research, have an appointment to drop mine off on July 11th Gold package plus wheels, and glass. Very cool. Where at? Make sure to post some pictures in this thread when you're done! Just sayin..... Some people also swear that a cat-back can give you 25 HP. Im giving you the skinny from a chemistry outlook you can believe or not..... Its a very good, long lasting synthetic wax, nothing more nothing less. Paying more than 10 bucks for it is anyone's choice. BTW I also use it in my regular paint 550 where it works great too. With the magnifying glass my finish probably won't "outshine" (pun intended) ceramic coating. That's okay. I hand wash and apply a little Pete's 53 (Chemical Guys, $40). Luckily I live where the roads aren't salted, there's no salty sea breeze, not even any smog to speak of, so waxing is enough for me. I'll save the $1000. I'm sure I can find something to do with it. Will be doing this myself. 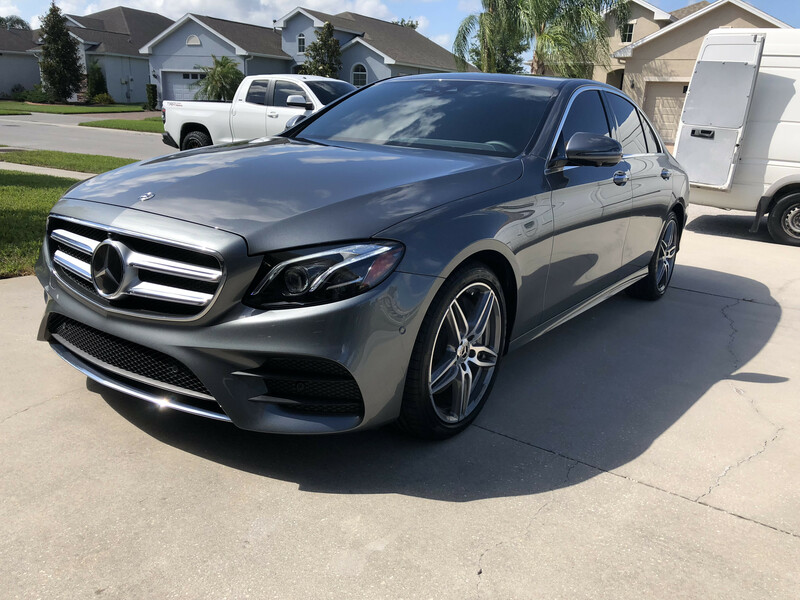 Supplies cost me under $100 on AutoGeek, I have been detailing my own cars for years, enjoy it, I could not justify paying 1k for this but the car does look amazing. Last Nov., I had my C300 (not the 2007 in my Signature, but my present 2015 C300) done with CQuartz ("UK" version). As the name implies, the "UK" version gives more protection. It cost $315 at Arlington Auto Detailing in Belmont MA. That included a medium-level interior detailing (leather seats preservative, etc.) and a "reload" several months later. I finally had that done a few weeks ago. Before, I had sometimes envied Toyota Corolla finishes. Now, my cay's finish is not the equal of Lexus finishes, but it is appropriate to a luxury car. My C300 is Iridium Silver, so I cannot get a photo showing that "wet look." CQuartz is not advertised to last 10 years, but it is advertised to last "up to 2 years." Best of all for me, I have had to wash the car only once since last Nov. That was to merely wash off salt. I live in an elderly housing facility, so my car is not garaged. Now, dirt just doesn't stick to it. This includes the wheels, which were also treated. 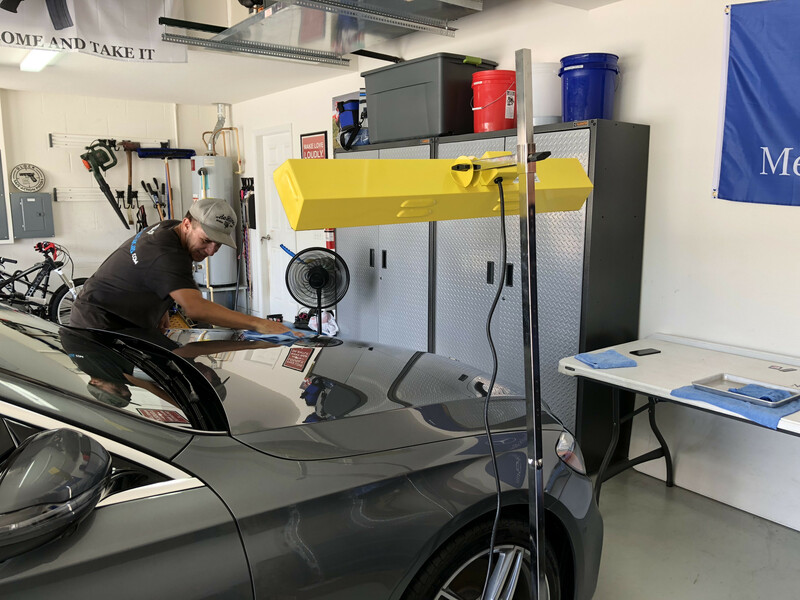 Ceramic PRO of Spokane had me back today for my first wash which they provide to make sure it cured properly. since I picked it up I have dusted it once with cloth they provided me. today when the water hit WOW is all I can say. the way the water and dust/dirt roll off. The finish on your car looks fantastic. I hope it lasts for a long time! Just had mine cermaic coated about 2 months ago, and was well worth the money. Not only does the paint seem to stay cleaner, it definetly looks like I added another clear coat, and if you are pressed for time and need to run through a touchless wash, EVERYTHING comes off and dries spot free. Its honestly pretty amazing and saves me hours weekly as I am pretty OCD about the car.